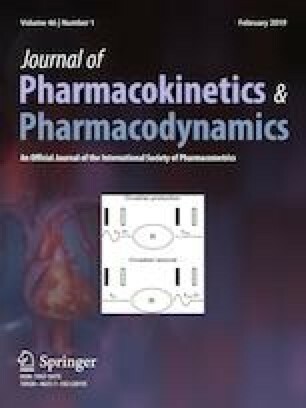 The aim of this study is to benchmark two Bayesian software tools, namely Stan and GNU MCSim, that use different Markov chain Monte Carlo (MCMC) methods for the estimation of physiologically based pharmacokinetic (PBPK) model parameters. The software tools were applied and compared on the problem of updating the parameters of a Diazepam PBPK model, using time-concentration human data. 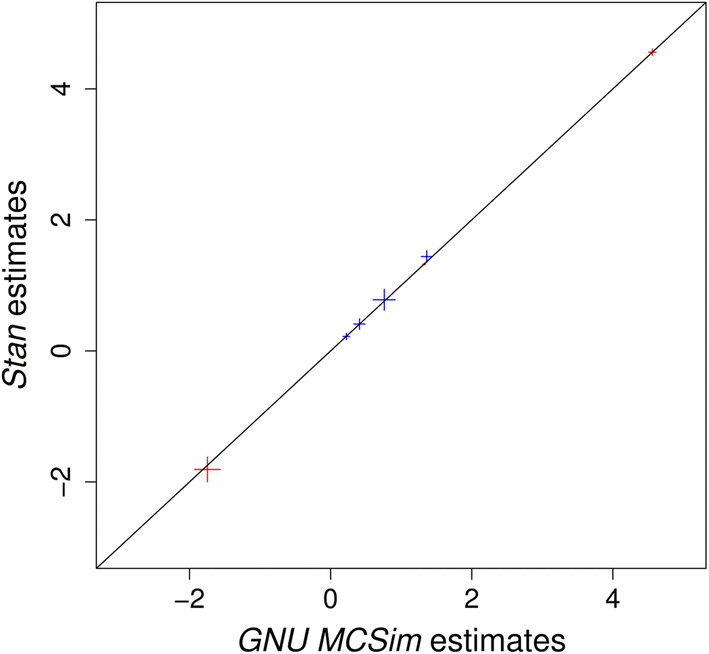 Both tools produced very good fits at the individual and population levels, despite the fact that GNU MCSim is not able to consider multivariate distributions. 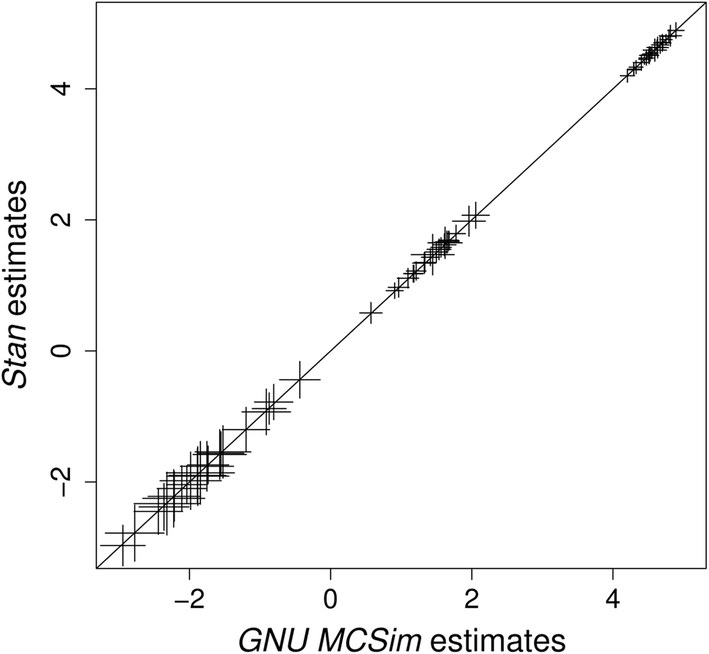 Stan outperformed GNU MCSim in sampling efficiency, due to its almost uncorrelated sampling. However, GNU MCSim exhibited much faster convergence and performed better in terms of effective samples produced per unit of time. We would like to thank Gueorgieva I. for granting us access to the Diazepam data. H. Sarimveis and F. Bois acknowledge financial support by OpenRiskNet (Grant Agreement 731075), a project funded by the European Commission under the Horizon 2020 Programme. Periklis Tsiros acknowledges financial support by the NTUA internal reward Programme Numbered 95/0085. See Figs. 13 and 14.